A1A Electric Signs & Neon. A1A Signs & Service and A1A Electric Sign & Neon are South Florida based companies founded in 1969. 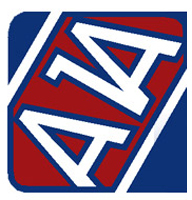 The A1A Companies are fully licensed and insured # Er0013924,#1000014367. As a family owned and operated business we take pride in the products and service we provide. A1A Companies are a full-service sign manufacturing company serving corporations, individual business, and national signage needs. Whether you need a single channel letter sign or a complete sign program for your shopping center, our team will from concept to completion, design, fabricate, and install your new sign displays. Whatever the need, you can always depend on A1A Sign Companies to provide the highest quality and most cost effective comprehensive sign solutions. We learned long ago that our success is built upon your success. So no matter what kind of business you’re in, you can count on A1A Signs to do whatever it takes to deliver results. Copyright © 2010 A1ASigns.com. All Rights Reserved. Web Site created by Colorway Design.